A new and young addition to the CloudFone’s series of devices, the GEO line-up took everyone by surprise in December when it launched. For the first time, a mobile manufacturer partners with a network provider, and through tedious research and hands-on collaboration, develops a device that specifically targets the continuously evolving hub for social innovation, the youth. 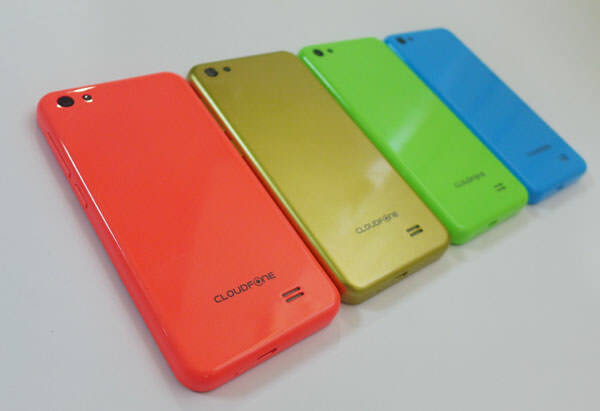 Seeing how the first three GEO devices flew off the shelves, CloudFone knew it was doing something right. Out of 768 respondents in a device damage study of ZAGG, 52% declared scratched screen as “most prevalent form of damage”, proving why most people don’t dare risk taking chances of leaving their precious devices vulnerable. Upon mining this insight, CloudFone created CloudFone GEO 402q to change exactly just that. Sporting Gorilla Glass 3 (one of the toughest display protections out in the market today, making your screen damage-resistant from scratches, bumps, and the likes), CloudFone GEO 402q’s IPS OGS display is the most affordable quad-core smartphone with Gorilla Glass 3. CloudFone GEO 402q gets an upgrade as it runs on the latest Android OS KitKat out of the box, ensuring better memory management and a faster and smoother interface. Providing up-to-date solutions, the device’s camera also levels up with a now 8MP rear camera with LED flash to keep up the selfie generation. 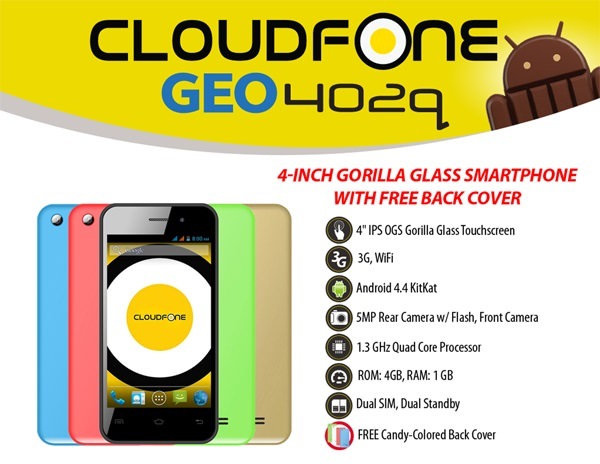 However, it doesn’t end there — the CloudFone GEO 402q also comes with a FREE candy-colored back cover. Choose from the default black back cover and a choice of blue, pink, gold, or green and make sure you stay in the loop with a phone that can keep up with your style. All these awesome improvements hit the sweet spot, having the best specs at the best plans. The GEO is now at its strongest evolution to date with the CloudFone GEO 402q, available exclusively at Globe Plan 299.